Tippers | FORNAL trading s.r.o. 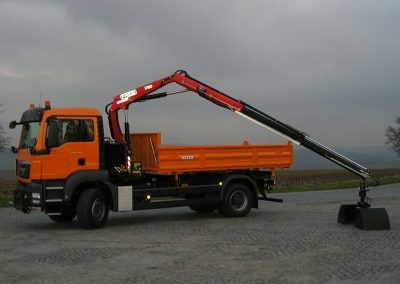 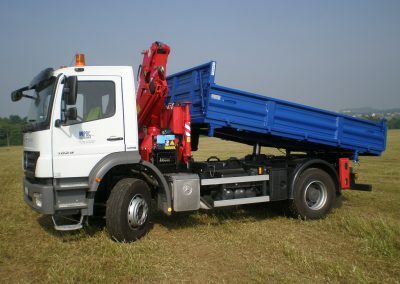 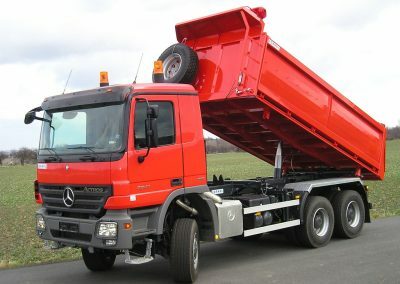 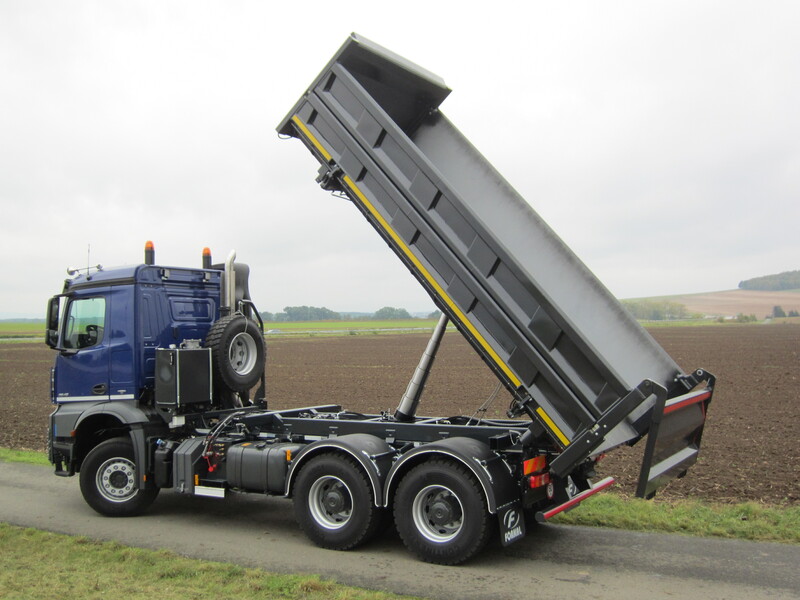 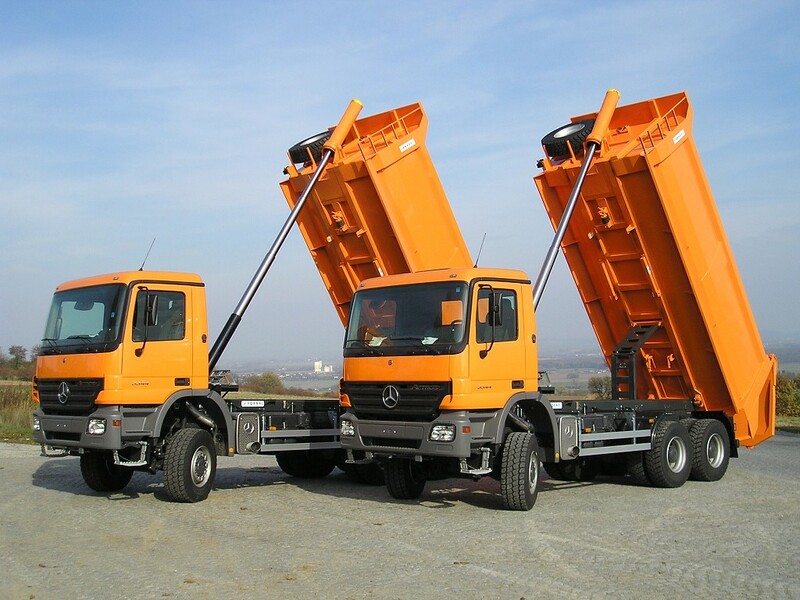 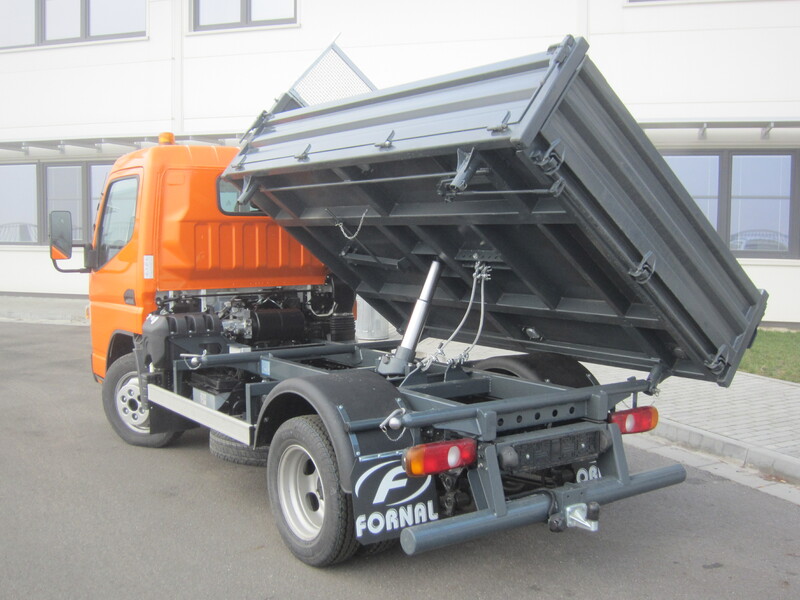 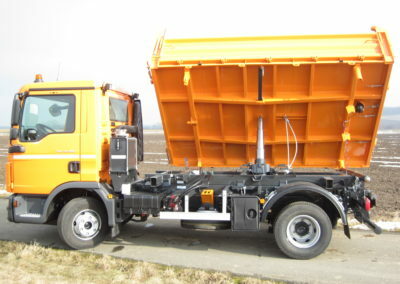 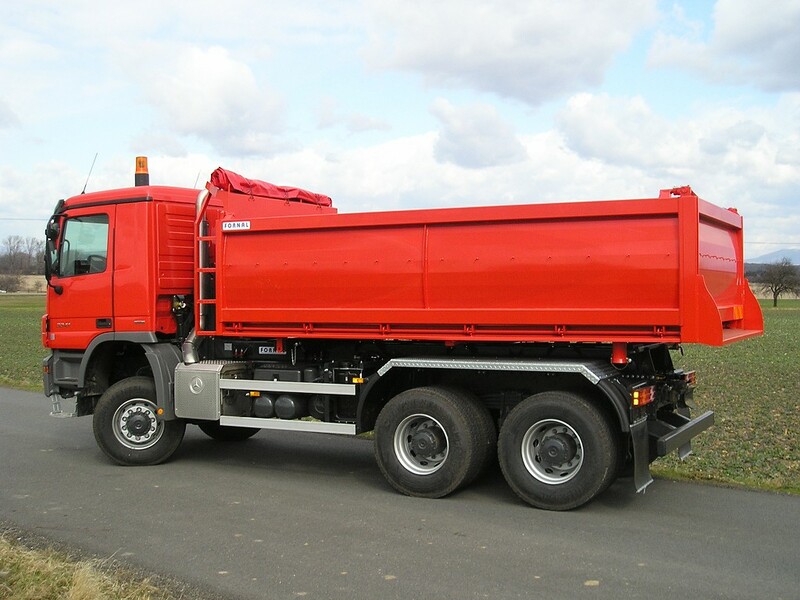 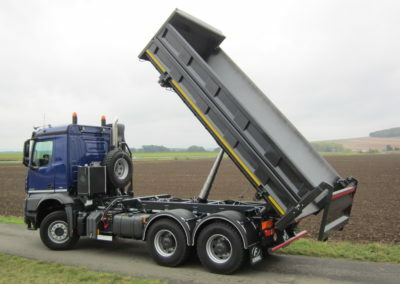 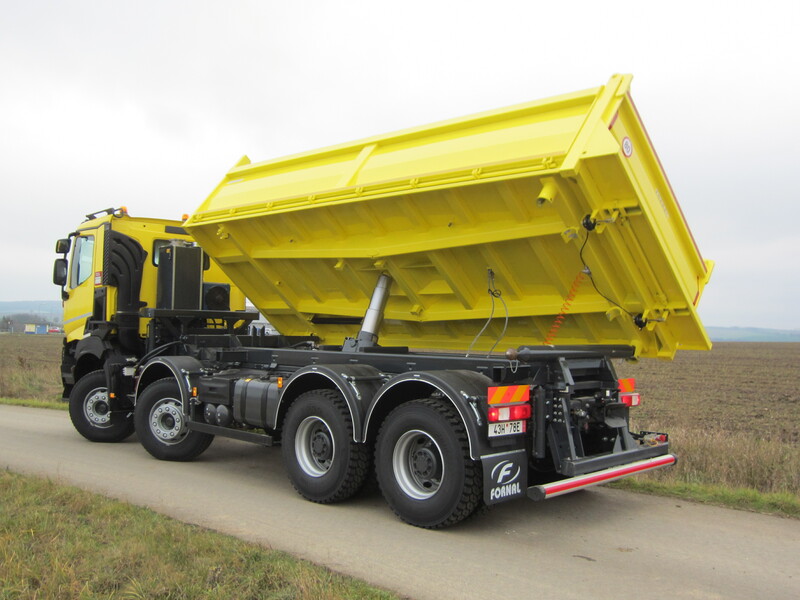 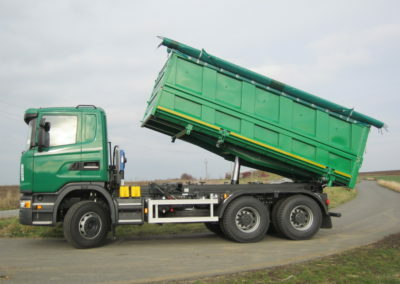 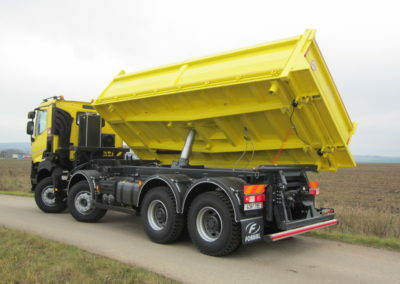 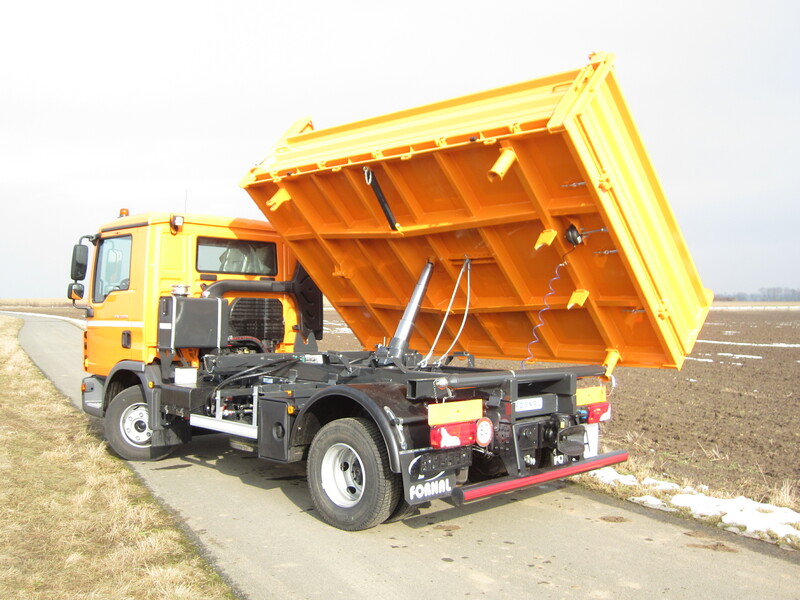 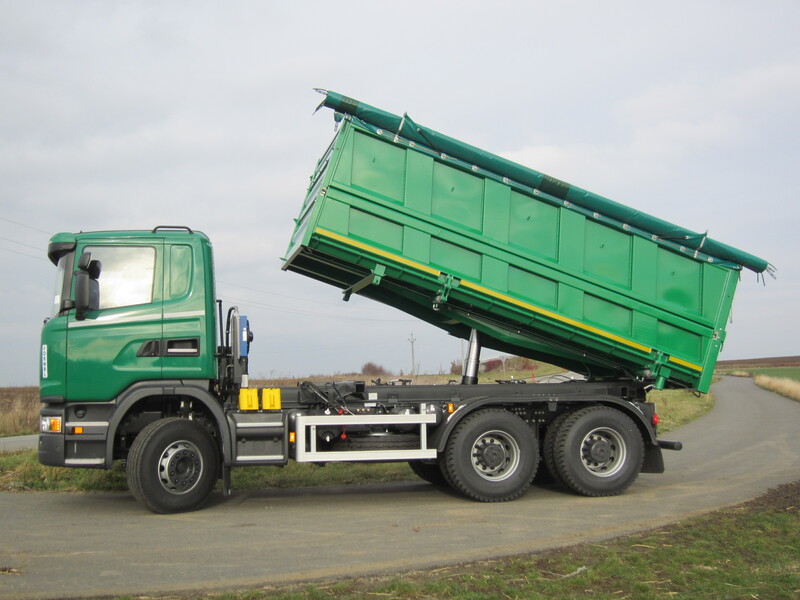 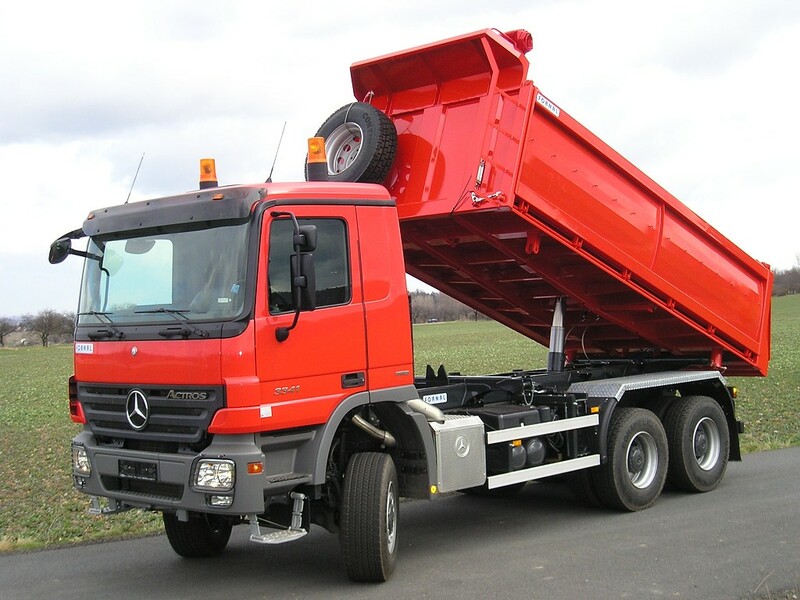 Our offer of tippers includes all commonly used models of single-sided, double-sided and three-sided tippers. 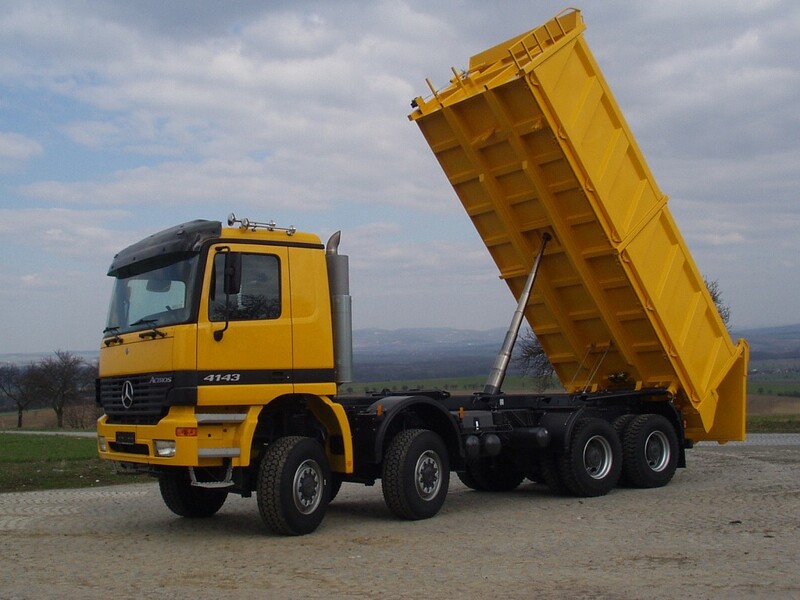 The loading platforms are custom manufactured based on the customer’s requirements with regard to the specifications of operation. 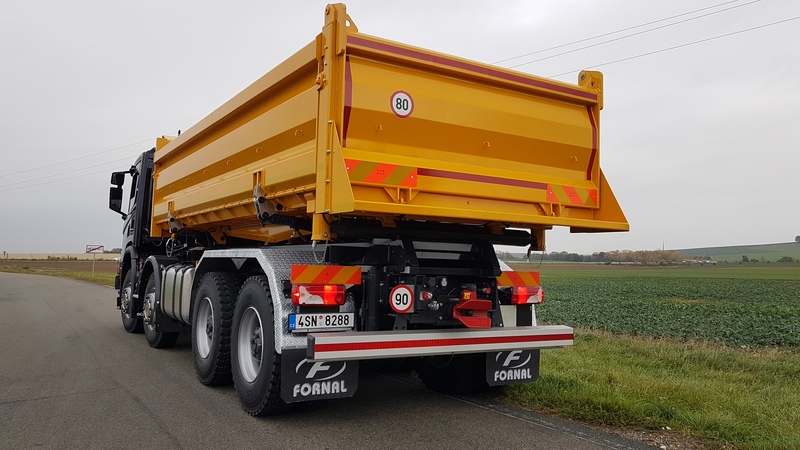 The production series covers a whole range of vehicles tonnage from 8-ton double-axle suspensions up to four-axle 40-ton suspensions. The material and design used correspond to the requirements of mounting the vehicle and the characteristic of the transported load. 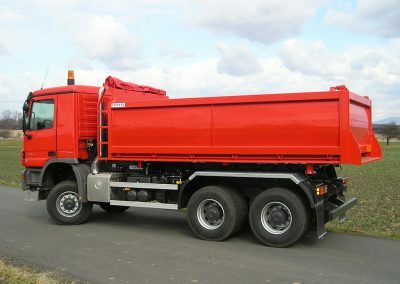 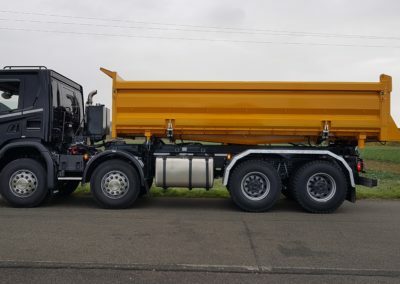 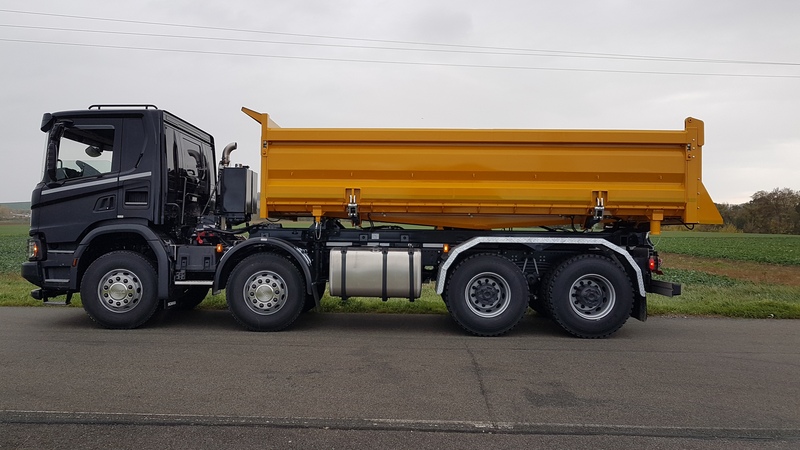 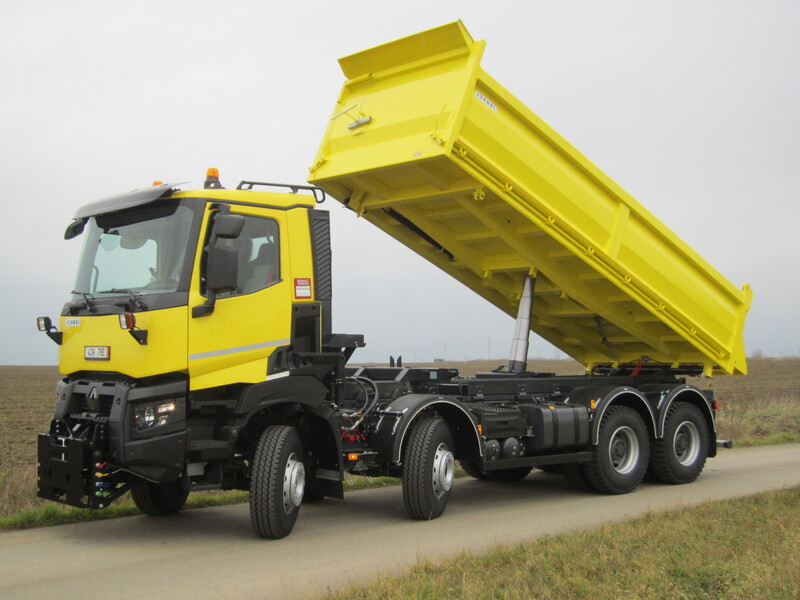 The tipper semi-trailer – JUMBO – is in a special category. 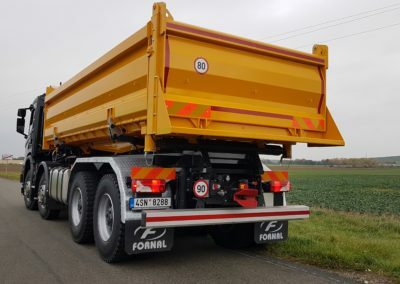 The construction of this semi-trailer is made as a triple-use combination. 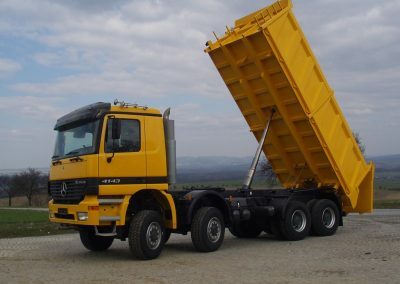 Twelve meter single-sided tipper semi-trailer for the transportation of sand, waste, cereals, feed mixtures, etc. 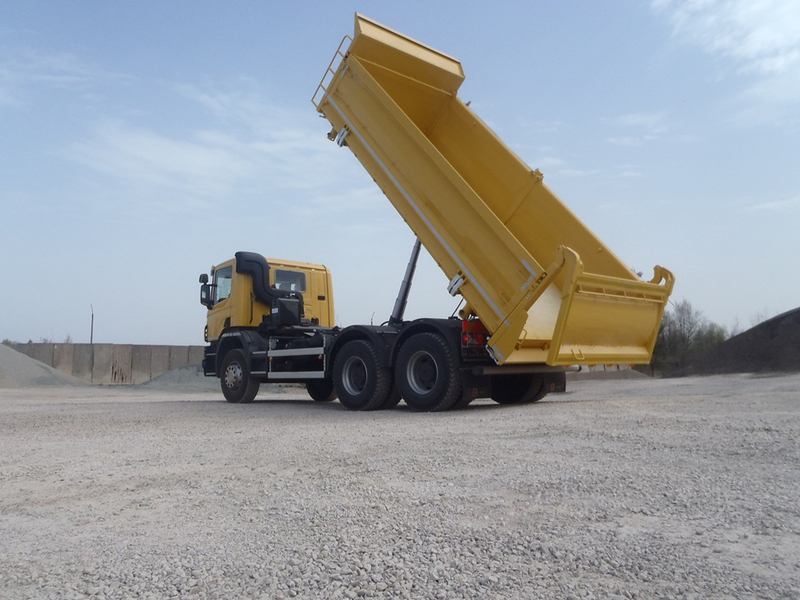 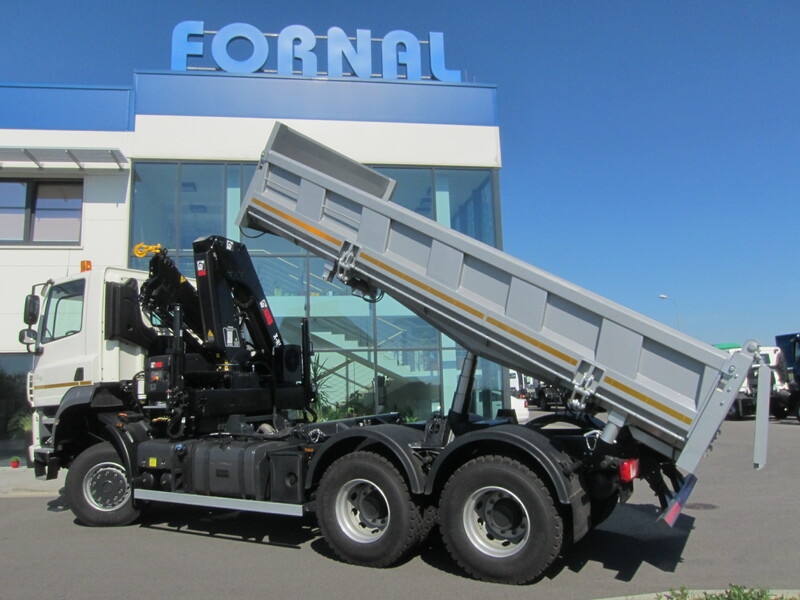 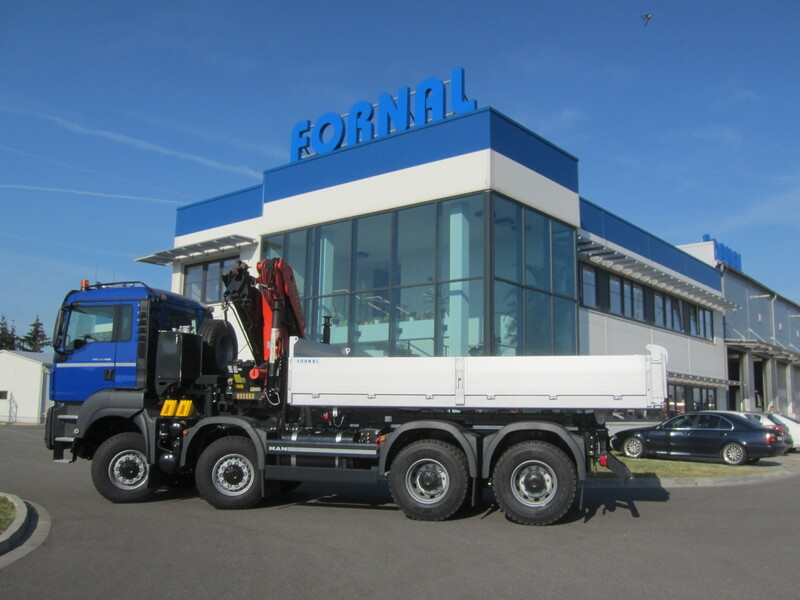 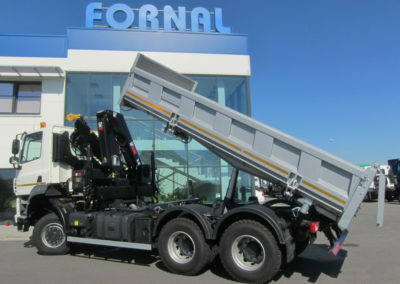 Stability takes place upon tipping, which is primarily ensured by the firmness of the entire construction and placement of the loading platform and the double-tipper cylinder system. 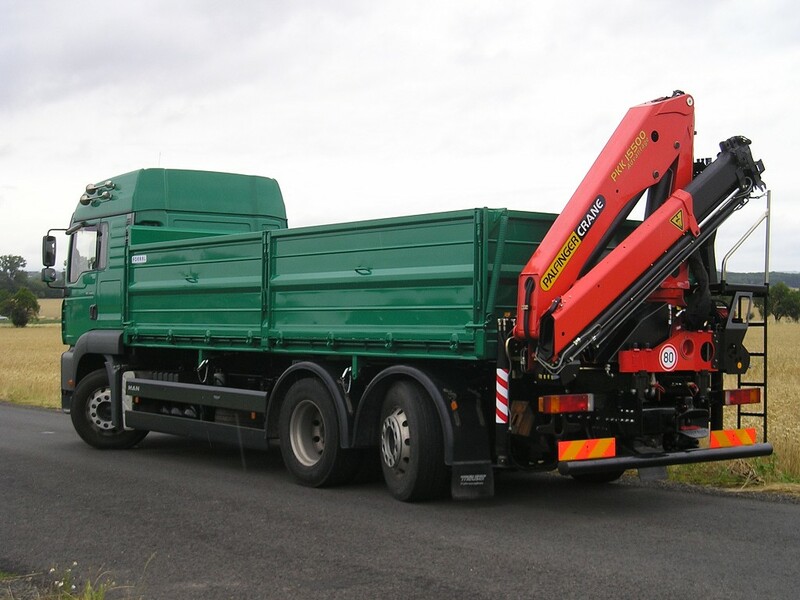 A full-range flatbed for the transportation of piece as well as pallet goods. 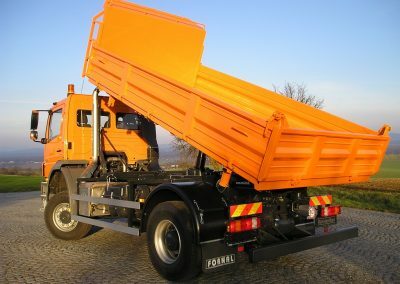 The crate for heavy construction and working equipment with a loading height of 1000mm, which is possible to decrease by a slight lifting of the loading platform when the transported equipment driving onto it. 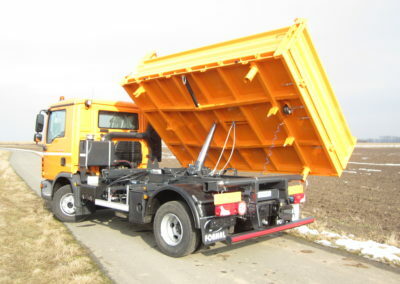 Useful capacity 30 tones.